We recently made a trip to southern Vancouver Island to visit Fruit Trees and More, where I hoped to get some tips on growing citrus trees and were surprised to see not only orange, lemon, grapefruit and mandarin trees growing and bearing fruit, but exotic fruit trees such as loquat, persimmon, Feijoa (or pineapple guava), olive and pomelo usually associated with subtropical climates. Intriguingly there was also a very large Australian gum tree growing in the orchard which made me feel right at home. 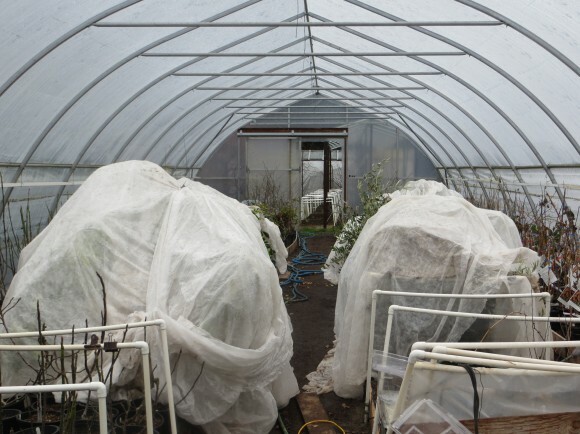 The ¾ acre property is a custom propagation nursery just outside of Sidney, in southern British Columbia – south of the Swartz Bay ferry terminal and a short 20 minute drive north of the provincial capital of Victoria, B.C. We specifically wished to visit the orchard as we have grown our own Meyer lemon tree for several years. 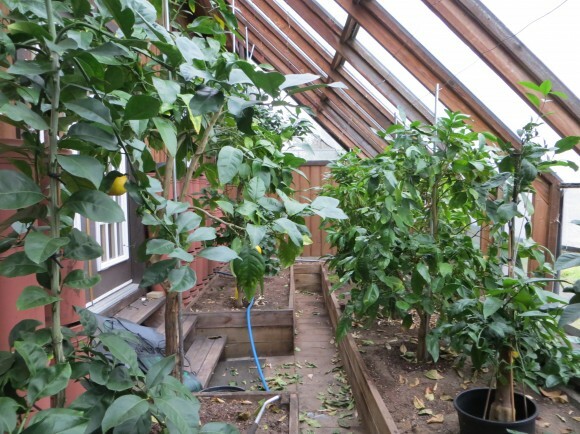 Owners Bob and Verna Duncan, have been growing citrus, other fruit trees and vines on the property since the 1980’s. 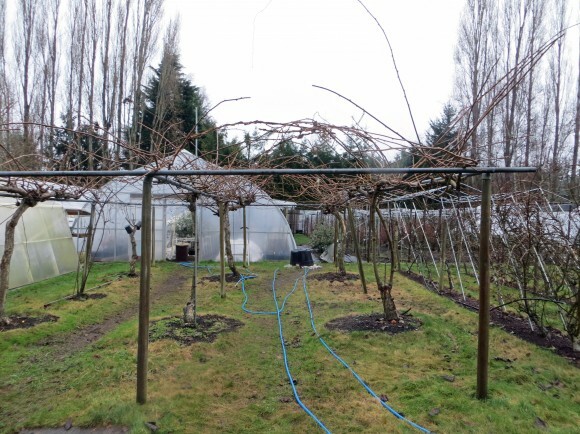 There is a lot packed into this small acreage mini orchard and we were impressed with the many overflowing greenhouses and intrigued by the size of the trunks of the 30-year-old Kiwi vines. 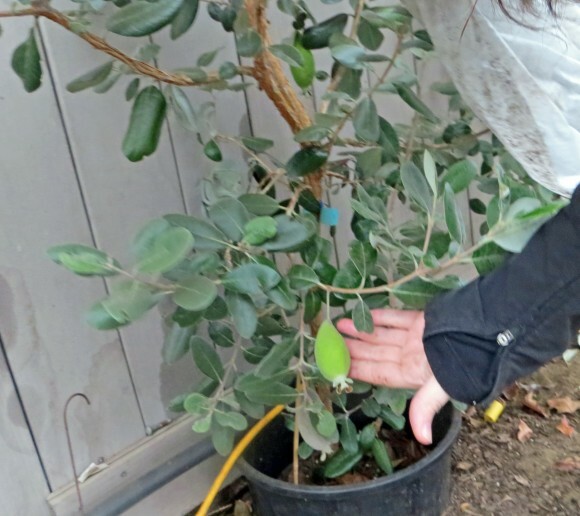 The citrus trees and Feijoa were all covered with cloth (called remay) and as Bob explains in his growing instructions some trees were draped with Christmas tree lights (7 watt incandescent) which were controlled thermostatically and automatically turned on once the temperatures went below zero degrees. This is enough to prevent damage to the fruit trees. 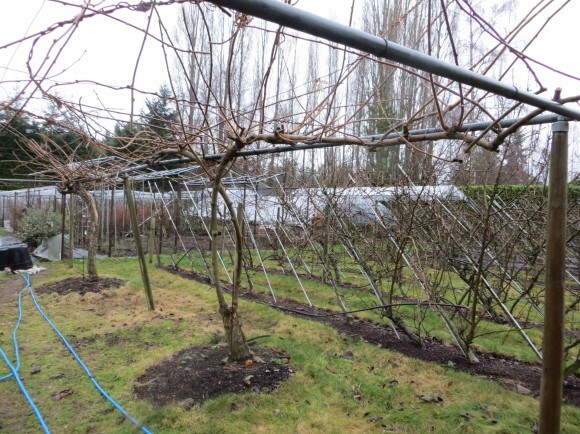 With milder winters, extended Summer and Fall with warmer temperatures this is enabling fruit trees which need a more temperate climate to grow with a little extra care and attention. There is nothing to compare with the fragrance and taste of freshly picked fruit straight off your own tree. 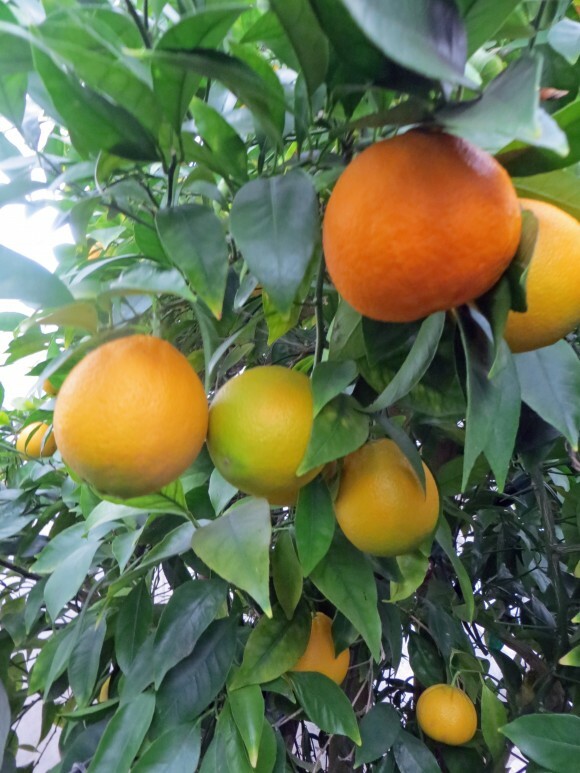 It is well worth a visit to Fruit Trees or More if you are up to the challenge of growing your own citrus tree in the Lower Mainland of B.C. We have noticed this Spring that the local nurseries are also selling lime and loquat trees which are also worth growing. At the time of our visit it was winter here in North America and many of the fruit trees were dormant. With a little imagination it is easy to see what a beautiful sight the orchard must be in the spring with blossoms and new growth, enough to make a person wonder if they have perhaps been transported to the Mediterranean. It is well worth trying to grow a few of these trees yourself especially if you have a protected southern growing area. 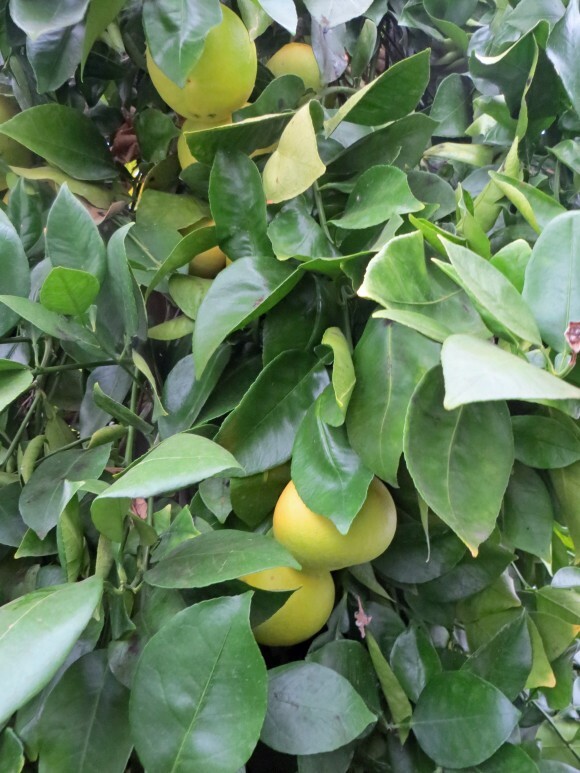 Meyer Lemon was our personal first choice of citrus fruit tree to grow for its relative hardiness, fragrance, taste and juiciness! The Saanich Peninsula is a warmer climate “bubble” and is the mildest climate region of the province of B.C. 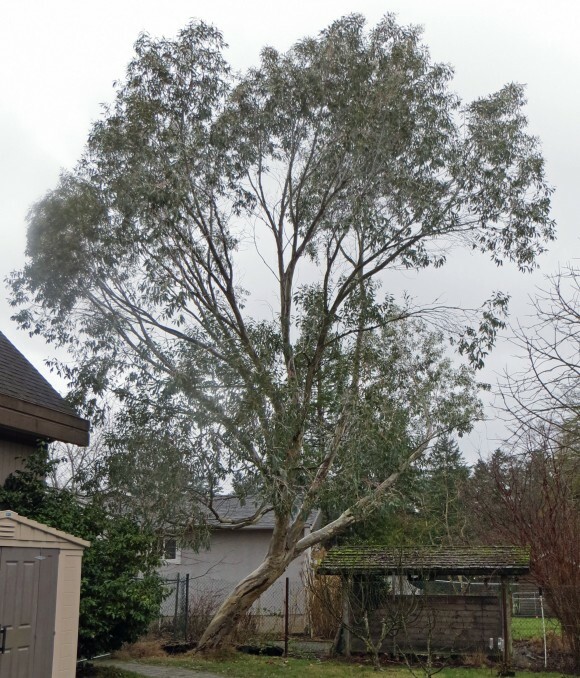 A Eucalyptus tree growing in B.C.